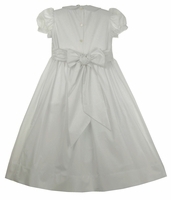 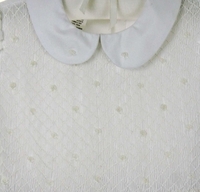 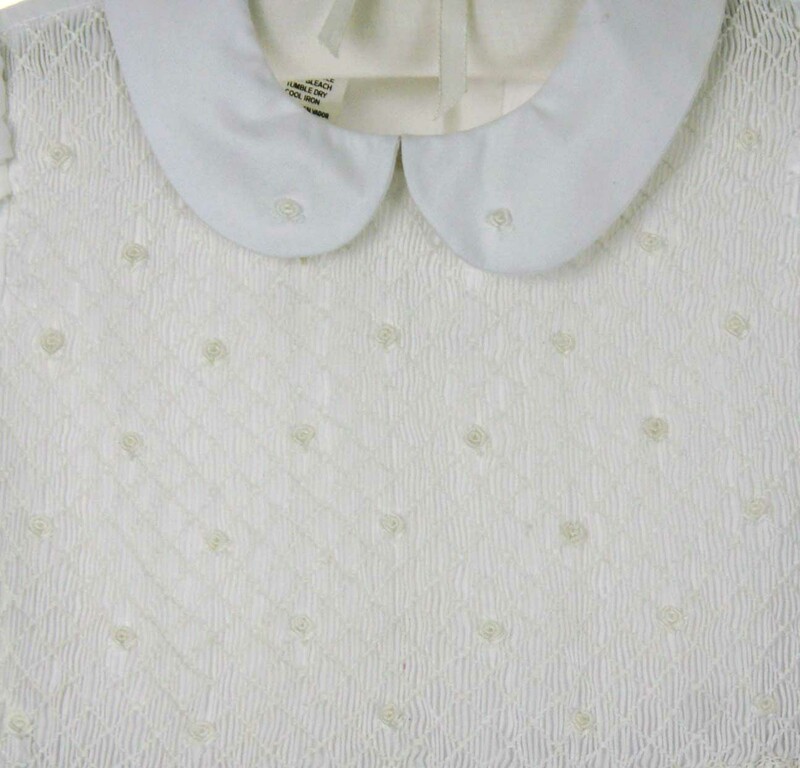 This beautiful white cotton blend dress was designed by Maria Elena of Marco and Lizzy exclusively for Grammie's Attic. 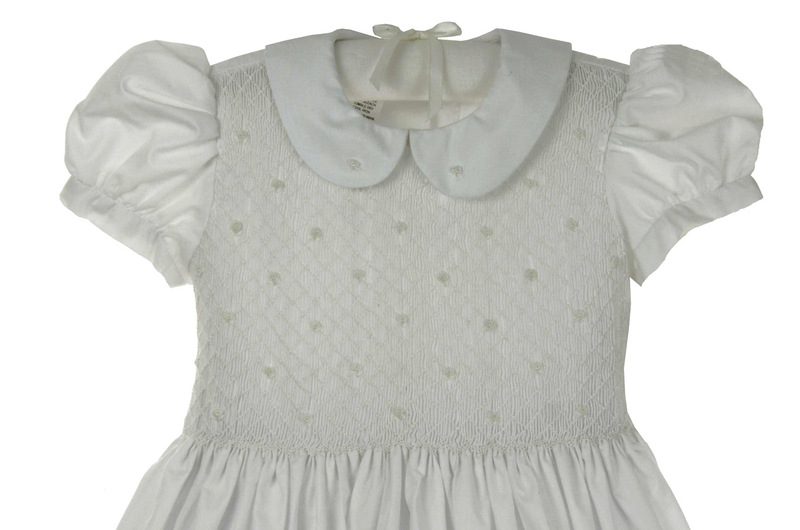 Made of the lovely soft batiste, the fully smocked bodice and Peter Pan collar are embroidered with delicate white rosebuds. The short puffed sleeves are finished with narrow bands and the very full skirt is finished with a deep 3" hem. 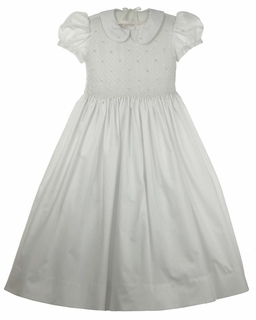 The dress closes in the back with four buttons and has a wide sash to tie in a bow.This gorgeous dress is fully lined so no slip is needed and even has an attached crinoline for added fullness.